"Simple causal reasoning about a feedback system is difficult because the first system influences the second and second system influences the first, leading to a circular argument. This makes reasoning based upon cause and effect tricky, and it is necessary to analyze the system as a whole"
Sunn O))) a band from Seattle Washington, makes use of this principle of feedback loops in their music. Sound from a single or sometimes several plucks of a guitar strings is used to feed the output which is looped to create a low continuous humming sound, or a drone. Input sources such as the mic are moved to manipulate the looping sound. The music is loud, slow and disrupts one blood flow. I find it unpleasant but I love this principle of music. 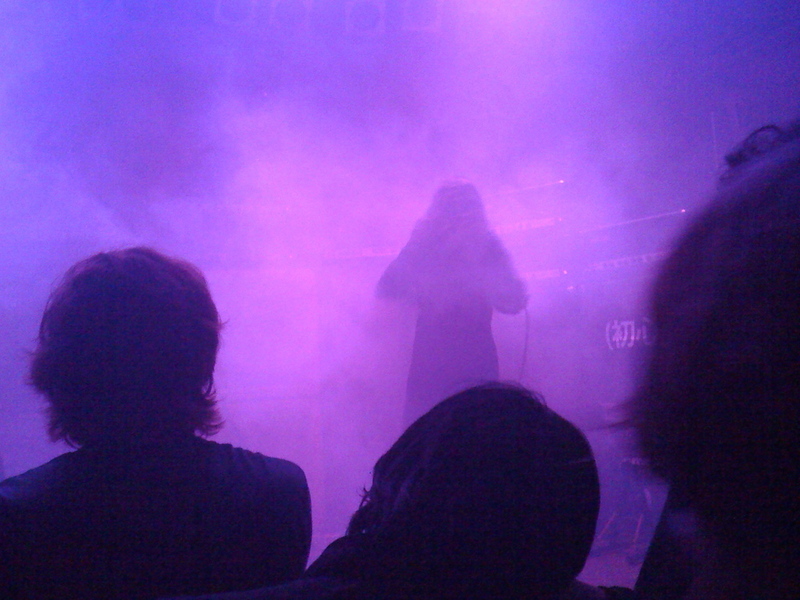 So, "Sunn O))), YOU GO GIRL!"